The Peaks Resort and Spa with all of the amenities and services of a world-class resort. 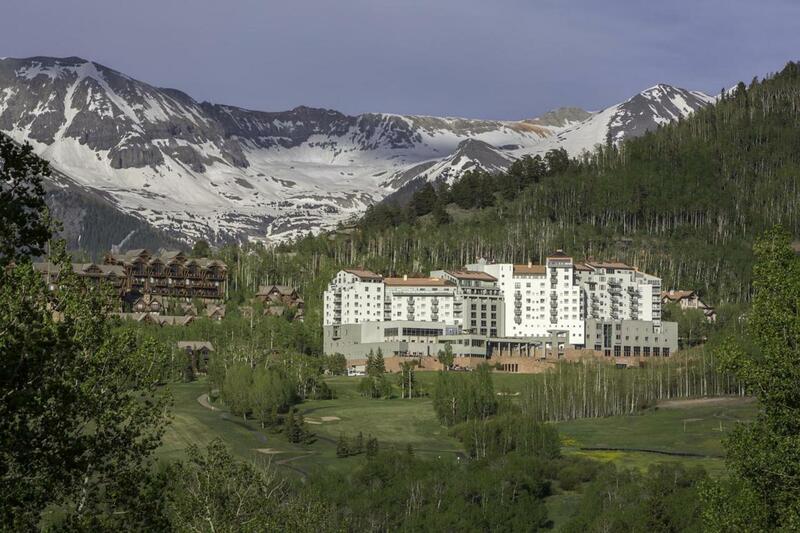 Here, guests will find a tempting array of experiences, including traditional and innovative spa services and fitness and outdoor recreation surrounded by the pristine beauty of 14,000-foot Rocky Mountain peaks. Spa, valet parking, valet ski in/ski out, maintenance, housekeeping, restaurants, game rooms, spectacular outdoor spaces. This is one of the finest options for low priced entry into Telluride real estate. Please call for all the details. This residence is an east facing studio with two King beds and a balcony. Great Price! Listing provided courtesy of John Burchmore of Telluride Sotheby's International Realty.